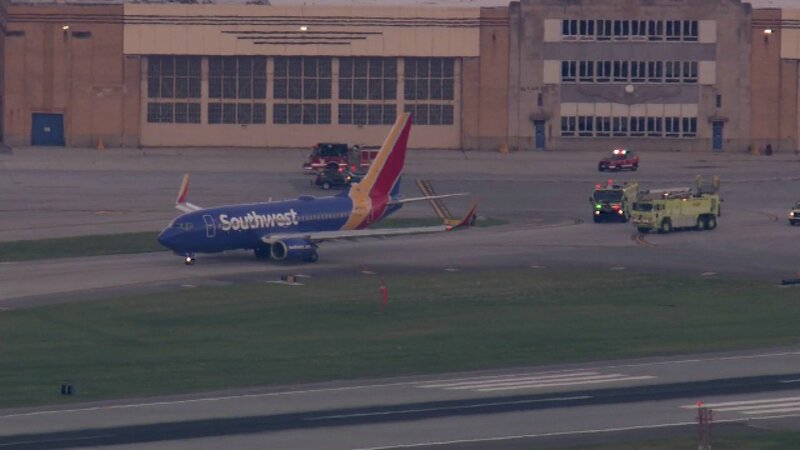 CHICAGO (WLS) -- A Southwest Airlines flight out of Atlanta was forced to make an emergency landing Tuesday morning at Midway International Airport due to a possible mechanical problem. Flight 1803, which was headed to Chicago, landed as a precaution due to a flap indicator light, airline officials said. The flight landed without incident. There were 98 passengers on board. No one was hurt. The plane will be inspected before it is returned to service, officials said.